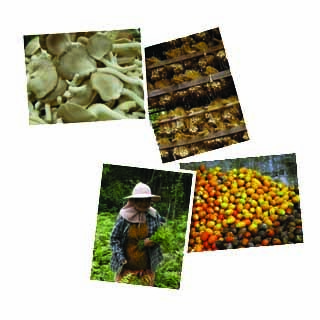 Invitation to the launch of Towards Organic Asia programme? It is our pleasure to invite you to the1stSymposium on Organic Agriculture for Society,which will be heldat Saranites Meeting Hall, 2nd Flr. CU Main Auditorium, Chulalongkorn University, Bangkok, on11th and 12th February 2012. The symposium consists ofplenary sessions and paneldiscussions on the organic movement, food security, environmental crisis,adaptation to climate change and community-supported agriculture. Most of the sessions will be held in Thai language. Only the Official Launch of the ?Towards Organic Asia? Programme on Saturday afternoon 11th Februarytogether with a panel discussion on Organic Agriculture and the Future of Food Securitywill be in English. 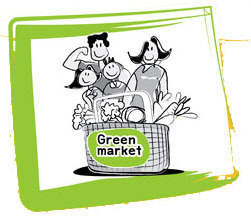 The Green Market Network, Chulalongkorn University, Chula Global Network, Office of the Commission on Agricultural Resource Education (OCARE), and the School for Wellbeing Studies and Research, are the main partners.The symposiumwill welcome for the first time international guests ofthe ?Towards Organic Asia? network from several Mekong countries. The symposium is part of the 5thAnnual Green Fairorganized since 2007 by Suan Nguen Mee Ma social enterprise, this year from 9 ? 12 February at Chulalongkorn University, Faculty of Arts (next to the Main Auditorium). Please see the documents attached for details on the schedule and the map of the venue. Should you accept our invitation, please kindly confirm us your participation at your earliest convenience. We are looking forward to welcome you in Bangkok. Suan Nguen Mee Ma Co., Ltd.
?New Dynamic of Organic Agriculture? ?Official Launch of Towards Organic Asia (TOA) Programme? Dr. Sisaliao Svengsuksa, Laos Member of Parliament; President of Association to Support the Development of Peasant Societies (ASDSP), Laos PDR. ?Organic Agriculture, environmental crisis and adaptation? ?Community-Supported Agriculture: CSA for institutional consumers?